I have been dying inside to talk about this super unique time piece! 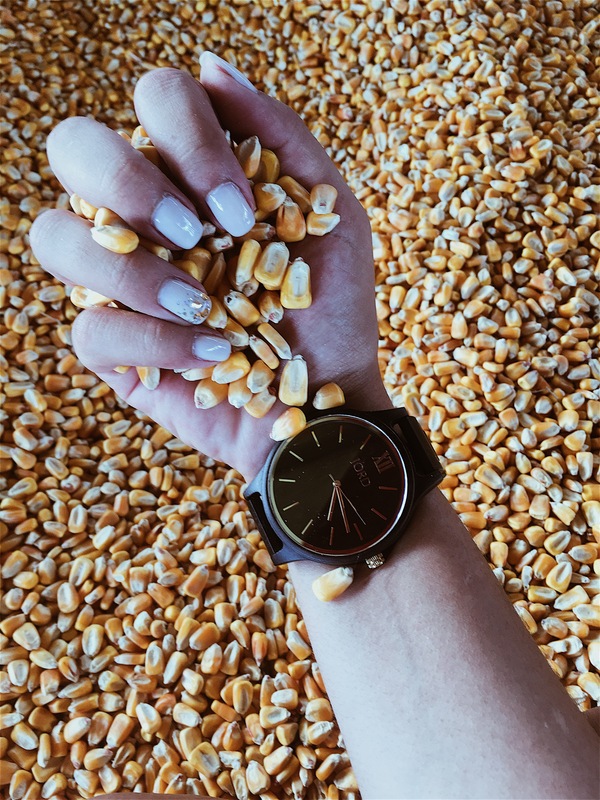 If you love watches you definitely NEED a Jord Watch in your collection. I don’t have quite a big collection of watches but I do have a few favorites and none are the same. The Frankie is a 100% natural, hand finished wood watch. It has a sapphire crystal big face with a ebony band. What attracted me the most to this watch was the c o l o r. I don’t own anything like it. Then, the way it’s made out of pure wood, it is so light on the wrist that you forget its even there. I’ve received so many compliments while wearing it out! Since it does have a big face; meaning the glass itself is wider; it sticks out like a thumb and the biggest W O W factor to people is the fact it is all natural wood. I wore out my Frankie to the pumpkin patch with my kiddos. I wore it out with a vintage floral print skirt from Zara known as “couch floral” for this seasons Fall 2017 fashion trend, paired with a white button up off the shoulder blouse and some suede blush toned heeled strappy flats. The watch tied my look together with my gold tone jewelry. I was/am o b s e s s e d with it! Another thing is the craftsmanship of delivery of this watch. It comes in a wooden box with a color pen incase of touch ups, a cleaning cloth, and moisture beads to care for the watch when not in use. The box itself is also made out of pure wood. I was so amazed upon delivery opening it up because you can just smell the pure wood. I wore my Frankie one more time recently and that was last night for a Halloween party. I was a devil angel and I am not one to walk out the house without some type of accessory. My Jord paired with the rest of my costume went so well! Nonetheless, you can wear this baby anywhere! 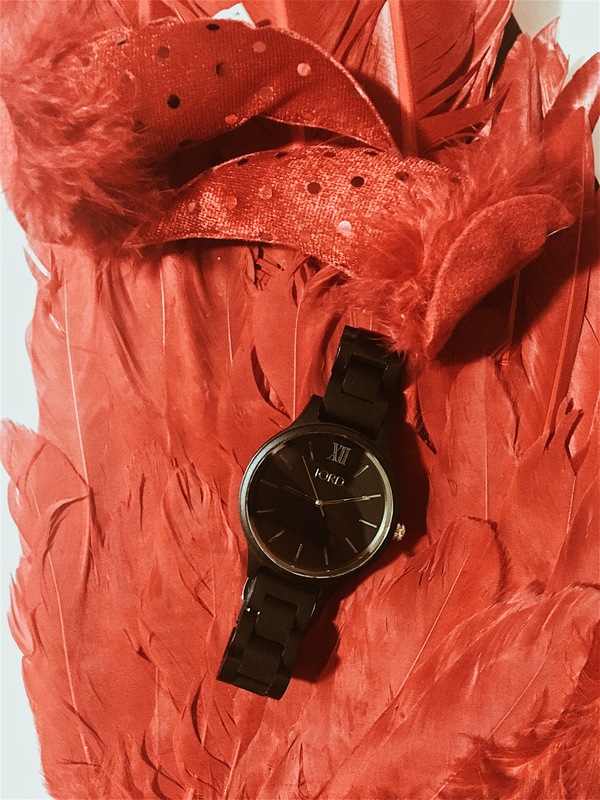 And because I am sooooo overly obsessed with this baby, Jord watches has offered to let me host a giveaway for you guys to have a chance to win $100 towards any Jord watch of choice. + even if you don’t win by entering you still receive a $25 credit to use on their site. Or head on over to my Instagram account and follow the link in bio! The contest will close tonight 10/22 at 11:59pm. Both the $100 and the $25 codes will expire on December 31st. Good luck! I adore my Frankie!! Favorite watch hands down! Loving that watch! My husband has a Jord watch and it’s such great quality! 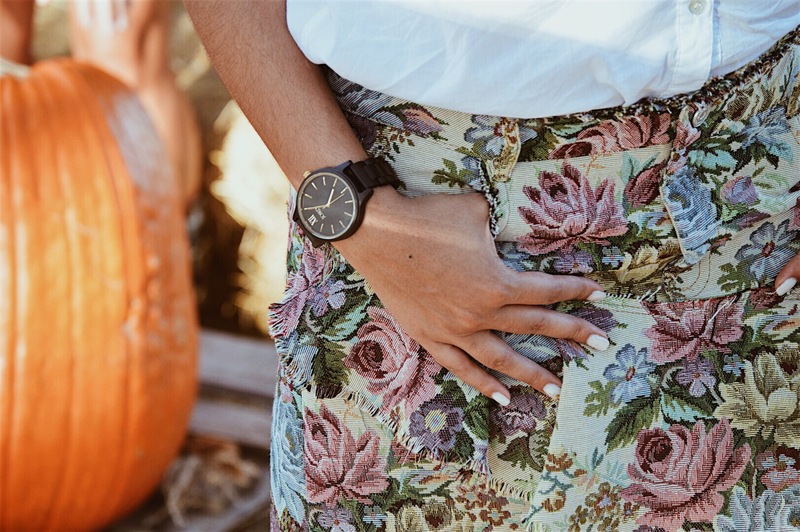 Love this watch on you! 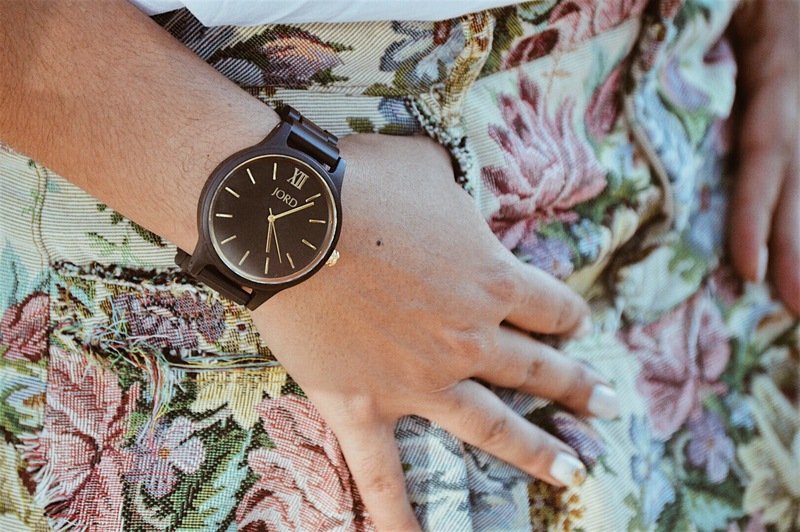 Jord watches are great!